The Healthy Hoff: What Is Couscous? The literal translation of Couscous means to "pound small." It is very popular in Moroccan & Middle Eastern cooking. Couscous despite its teeny tiny size is actually considered pasta and not rice. It is made from semolina flour, so it is not gluten-free. When cooked, Couscous becomes light and fluffy. Pronounced as kuskus, it's just very fun to say! Couscous can be used in the same way you would rice. It can be a side dish or mixed into Soup, Chili, Stew, etc. It can be used as a base for a Salad or Risotto. It can be served both hot and cold, sweet or savory. Couscous is neutral in flavor, so seasoning or pairing it with vegetables would bring the best out of it. If you're in a hurry, Couscous is your best friend! The Couscous we get in America has typically been pre-steamed and dried in order to expedite it's cooking time. The ratio is 1 1/2 cups of Water (broth) to 1 cup of Couscous. 1 cup dry Couscous will yield 2 1/2 cups cooked Couscous. Couscous is typically steamed, not boiled. Allow Water to come to a boil, stir in Couscous, cover, remove from heat, allow to stand for 5-10 minutes until all Water is absorbed, fluff with a fork & serve. Couscous can be added to any hot liquid if allowed to sit before consuming. I keep a container of Couscous at work and when I have soup for lunch, add a few spoonfuls to thicken and give the soup a fiber punch! 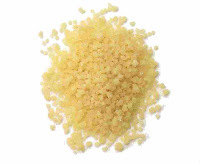 Like pasta and rice, Couscous can be found either in re-fined white or whole wheat form. Always opt for the whole-wheat form to reap the whole grain benefits. Moroccan Couscous is the commonly found smaller grain version. Israeli Couscous is a larger sized Couscous, about the size of a pearl. It has a slightly chewier texture than its traditional counterpart. It is big, soft and a fun addition to the same boring meal. It has the same cooking time as whole-wheat couscous, 10 minutes. 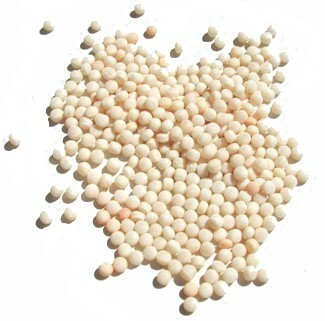 Lebanese Couscous is larger than Israeli Couscous, about the size of a small pea. This type requires long and slow cooking.